Being a mom is hard work. Its a 24/7 job. You are paid in accomplishments, hugs, and kisses. To me it is the best job in the world but you don’t really get paid time off. To make sure you can be the best mom you can be self care is going to be important. Self care is what allows you to rest, recharge, and be ready to tackle mom life the next day. What exactly does self care look like? It can be something different to everyone but here are a few self care things I try to do. Have you ever heard the term its the little things that count? This can be true when it comes to self care. I do a few things daily to give a little bit back to me. Wake up before the kids and have my morning coffee. I like to enjoy a cup of coffee with my husband in the morning before we start our day. This lets us reconnect and just enjoy the time together. Even if he is not home I still have my coffee to just give me those few minutes before the day begins. To go along with a few minutes of peace I give each kiddo a bedtime. I like to have the younger ones in bed by 8 and my teens have to be in their rooms by 9 but can be awake until 10. This gives me a hr or 2 with no children to read a book, watch a movie, or take a bath. If I take a bath I go all out. Bath bombs, a glass of wine, and relaxation. I recently discovered exfoliating gloves which have been amazing and leave my skin feeling so smooth. Have a hobby. I like to read and I like to paint. Those are my go to relaxation methods. Even if it is 5 minutes or 1 hr a week this hobbies allow me to release tension. Find a hobby you enjoy that allows you even 5 mins of release. Moms night out. Everyone needs a night out. This can be with your significant other, your girlfriends, or even just by yourself. Once a month I like to go to the bookstore with a cup of coffee and chillax. If you do not have a babysitter then you can put the kiddos to bed and go hang out on your back patio. Where you are is not important. Its the free time to do what you want to do and hopefully chat with another adult. One of my favorite things to go along with my hobby is to do a paint night with my girlfriends. 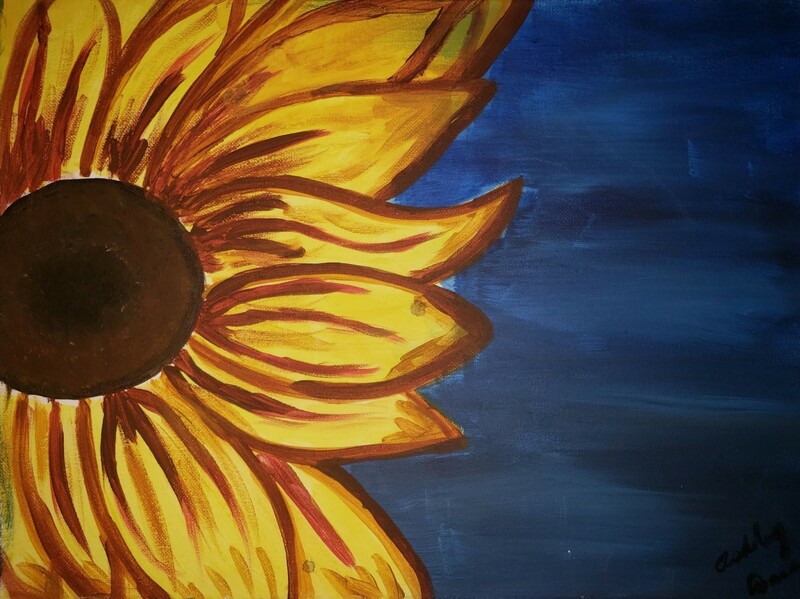 We like to head to Vino and Canvas events for some painting fun. Another self care is little adventures with my friends. Recently we got to do Urban Adventure Quest. It was like a grown up scavenger hunt in Phoenix. We all had a blast and learned things about our city that we did not know before. This little adventures let us act like big kids and just let loss and have fun. Moms Weekend. Sometimes my friends and I will enlist our hubbies to take care of the kiddos and we will take a moms weekend. My bestie and I are attending the MomsMeet WOW Womens Summit in Anaheim this November. Click here to read more about our planned trip. Having a getaway to just relax with your friends is essential to self care. Its important not to feel guilty for taking time for yourself. Self care is vital to being a good mom. I know for me if I don’t self care I can be cranky and just not on my game. Hopefully some of these tips will give you ideas for your own self care routine so you can keep momming. Are there any self care tips you use that I missed. If so drop me a comment so I can add it to my routine.